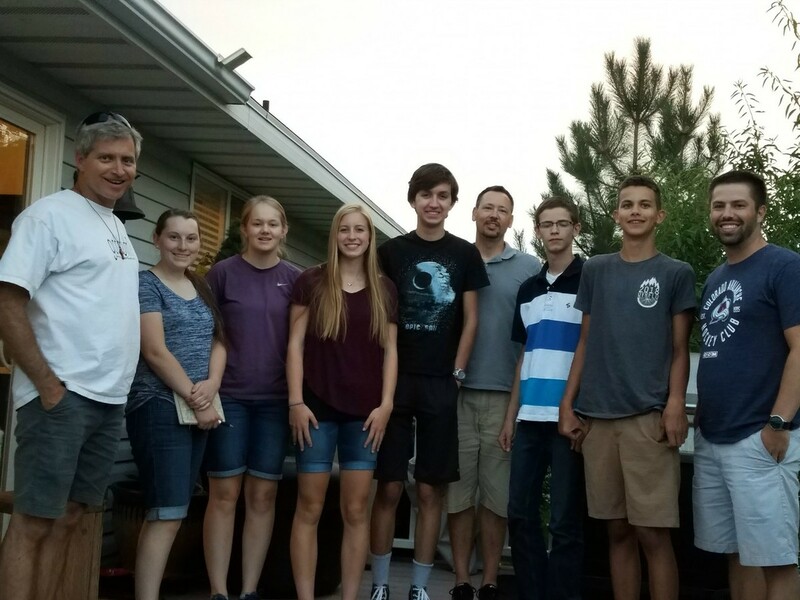 Tara and I hosted a mission team from Rapid City, SD for a barbecue and training last month. 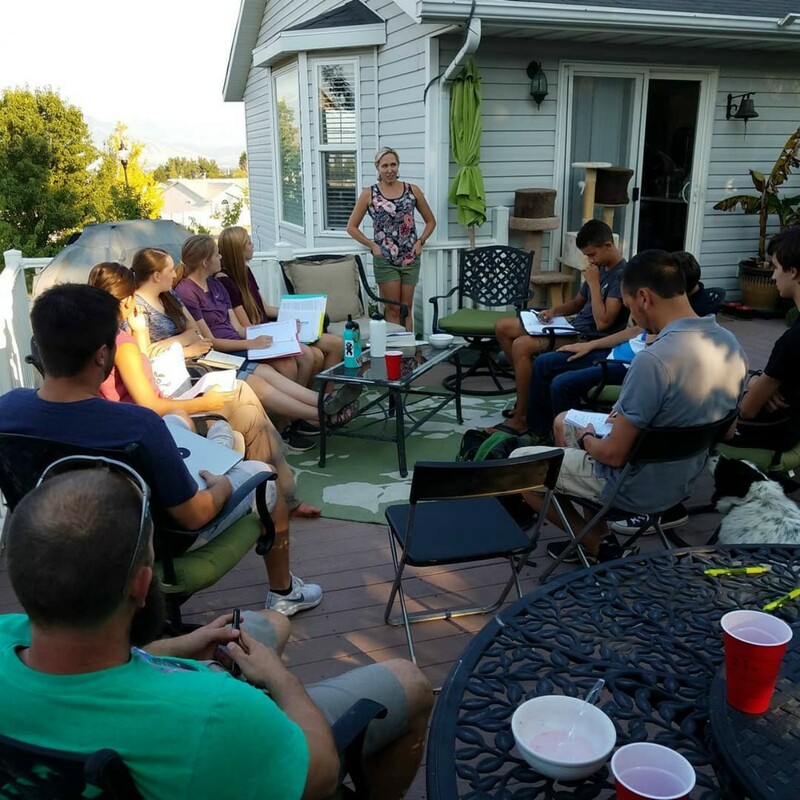 Tara shared her testimony, and I shared on how I witness to LDS. 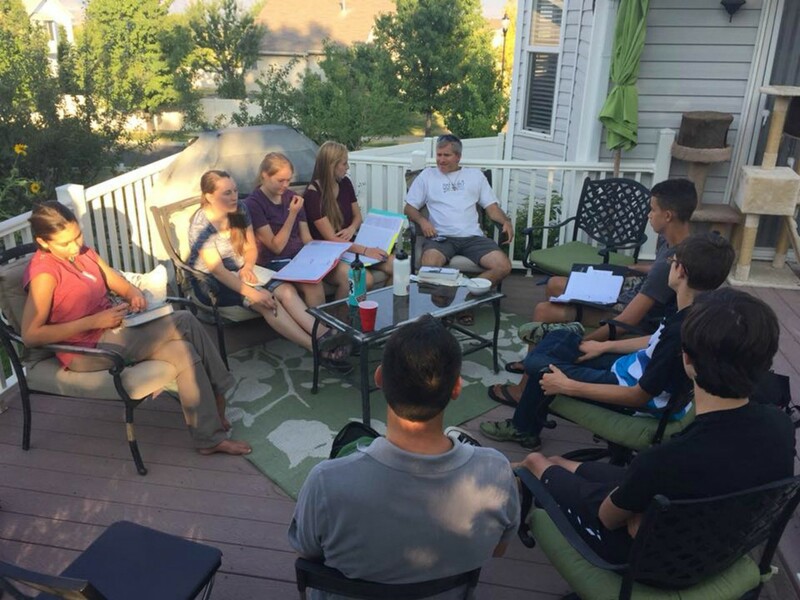 Please consider bringing your own mission team up! One of the benefits of living in Utah is being able to witness to Mormon missionaries all over the place. I preached to a group of LDS missionaries on their p-day (preparation day) at Walmart. Funny how God works these appointments out for me even when I don't have a lot of time. I had to get back quickly for Tara to take her car for an appointment. These guys walked right past me and I told them, "I love you guys, but you clearly have the wrong god. God never had to bow down and follow some other God before He could become a God for us. That's just not the God of the Bible." One of them just stood there listening to me while the others walked on. I told them, "Please check out JosephLied.com sometime." The one who stood there told me he would. I was wearing my shirt with the fuzzy JESUS letters on the front, and “Focus on His name” on the back. I saw these guys pull in as I was walking in, so I put a Jesus Christ/Joseph Smith DVD on their car. Rob lecturingKimberlee Thorn-Harper and her son Alan shared their testimony of coming out of Mormonism and finding Jesus. You can watch that and see the pictures at our www.MeetTheExMormons.org. Rob with the mission teamonline giving, please see our “Invest” page on any of our sites. Please keep in mind we have no financial guarantees each month. Ministry partners come and go. If you’re not a partner and are blessed by these monthly updates, please consider joining our team and let us know soon. We’d love to be your missionaries here in Utah. Many thanks to those of you who hold us up in prayer and in your financial giving! If you sign up to become a monthly partner of our ministry, I will gladly send you a signed copy of our new book Sharing the Good News With Mormons at no cost. If you simply want to buy it, I will sell a signed copy for $18 (includes shipping and handling within the United States). Amazon lists it for $15.99 without shipping and tax. All proceeds go to support CCU, which is a 501c3 non-profit organization. Good morning Rob, I am looking forward to this 6 week program. I have been a mormon all my life and come from a strong LDS family. I have a friend that knows you personally who was a former Senior Pastor that has opened the discussion of Jesus and God and the Holy Spirit being one being and has challenged me to seek truth. So here I am ... seeking truth. I thank you in advance for putting this program together and for your support in answering any questions I might have. Any additional information or resource is also welcomed and if you happen to host any bible studies or one on one’s please let me know. I’m available via email or text. Thank you and let the search for truth begin! … Thank you, Rob, for the resources! I will plan on attending your monthly fellowship. … Looking forward to meeting you soon and most importantly meeting God! My bishop is being so controlling and has told people in my ward to not speak to me due to the fact that I told him Jesus Christ is in control of my life not him and he practically had a heart attack and told me I was being ridiculous. It was so hurtful. I am grateful for everything that the church did for me, but I'm just too much of an independent thinker to be in the church. It's just not in my destiny. I'm so grateful for the invitation for my son and I to share our story about coming out of Mormonism to the Jesus of the Bible. We were so comfortable at Rob and Tara's home and feel like we've made some friends for life. How wonderful to have such an opportunity to fellowship with like-minded people who've been done this same path. Thank you Rob and Tara! I was happy to be invited to tell my story. I'm sure I could have done it a bit better! It was nice to share experiences with other like-minded people and to know that there are many who are just waiting share the love of God with others. It was a great experience! I was looking forward to introducing myself to you at the Manti Pageant just weeks ago, where my church's ministry team were canvassing, but alas, I didn't see your sign. After watching your argument submission for the value of your signs, i understood why, hahaha. I wondered to myself if you've given up! Glad you're still out there. I saw your California itinerary. I'd love to come and see you speak. I may be able to drag my (now grown) children with me! First thing The LDS people have free agency, there is no such thing as church law that disallows us to read or check out other anti-mormon crap. Second not everything Joseph Smith said was a darn prophecy, (plus we are still alive on this earth) he was a man that had free agency, he was not perfect and also needed the atonement of Jesus Christ. saying that there are many things with the Book of Mormon he would have no knowledge about, example: the Bible and the Book of mormon are structured the same way, the old Hebrew was written using a "Chiasmus" structure. Joseph Smith had to of been a genius or he is the Prophet of God that brought more evidence of Jesus Christ to help us. One of the worst prophecies that Christians believe is the rapture before the tribulation, and this is going to shake the faith of a lot of good people. when it does the LDS people will be here to help you, because we have to go through it to. Rob I just want to tell you again how much I appreciate your faithfulness against all odds. You are a blessing and I wish we lived closer....hugs to Tara and the girls. Thank you so much for having us into your home, feeding us + sharing your time + wisdom with us! We appreciate it so much! Thank you so much for your hospitality and spending time with the team. You two are such a blessing and it was a joy hearing you both share. I pray that God would continue to bless your ministry. LDS: "Do you talk about Mormon"
LDS: "I love my Mormon church"
LDS: "Mormon people are good people thear not evil"
LDS: "What do you think about theme"
See my YouTube channel as well... MormonInfoDotOrg"
LDS: "Do you think thear evil"
Me: "no, I already agreed with you that they're good people. My in-laws are LDS. But they still need to repent of following a false God and false Jesus to hell." LDS: "So u think that we're going to hell"
Me: "that's what the Bible says of those who follow a false God and false Jesus. 1 Cor. 6:9-11 for example"
LDS: "But I still believe in my chruch"
Me: "well that's why you need to repent, because the Bible teaches unless you repent, you'll perish (Lk. 13:3)." LDS: "But I love teaching of my chruch"
Me: "Well lots of people love false things that are not good for them. The Bible teaches there's a way that seems right, but the end is the way of death (Prov. 14:12)."